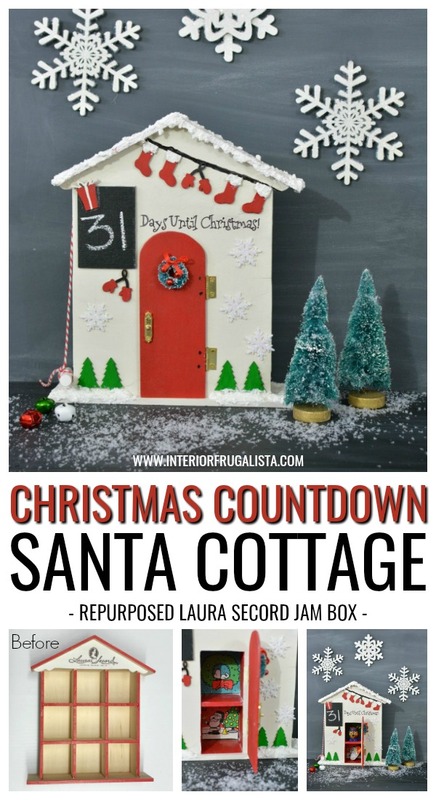 It's Day 3 of the 12 Days Of Christmas 2018 event and the theme is DIY Christmas Countdown Calendar Ideas and so I'm sharing how I repurposed a Laura Secord jam jar box into a fun Christmas countdown Santa cottage with a special surprise hidden behind the red door each day. 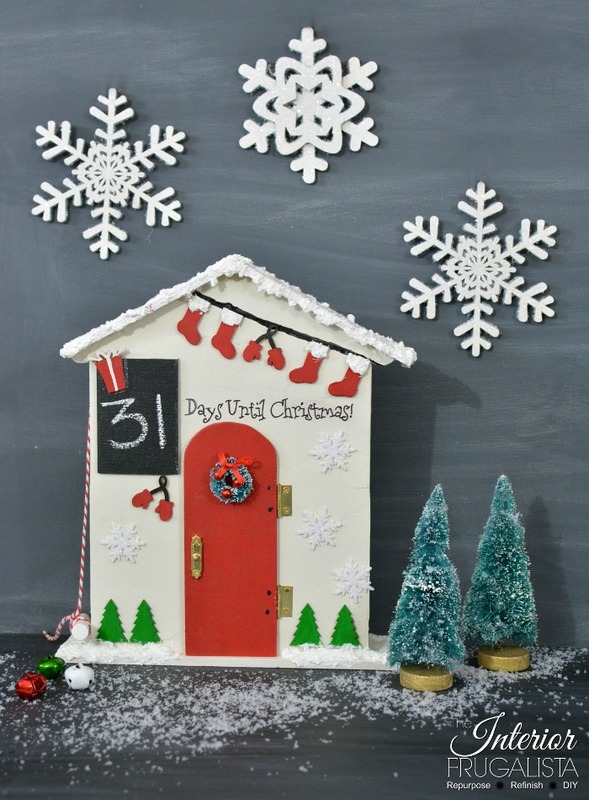 What child wouldn't be delighted visiting Santa's cottage every morning to change the number on the chalkboard window and open the door to find a surprise inside? There's room for a piece of candy and a small toy for one child OR one surprise each for two children. My 3 1/2-year-old grandson is a both a Paw Patrol and Mashable's fanatic so he should gasp in delight when he sees his Chase (even though Marshall is where it's at with him) surprise waiting inside. Wonder which one he'll grab first, the chocolate Santa or Chase - probably both! After the treats have been removed they are greeted by Santa, Woodstock, and Snoopy who seems to be enjoying a nap upstairs. 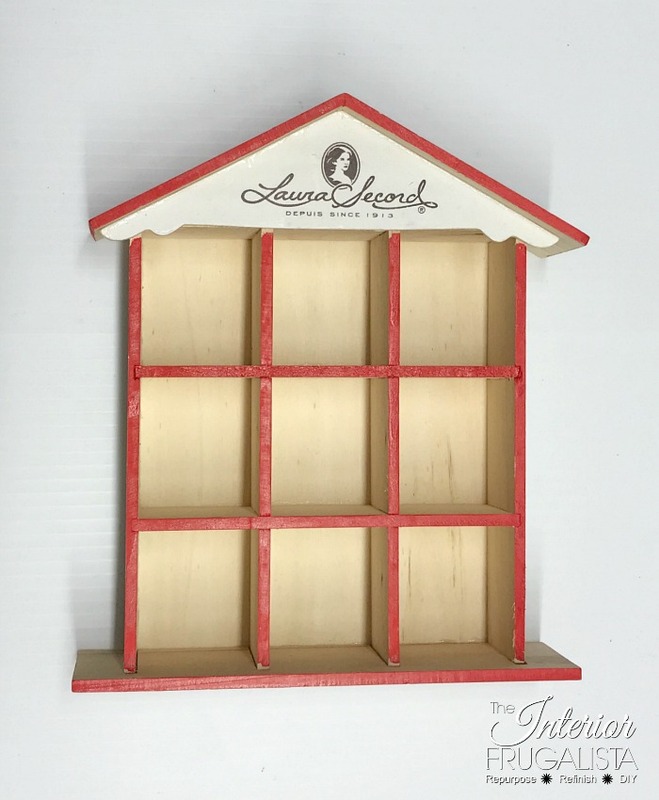 But it all started with this empty Laura Secord jam jar box that I saved from last Christmas in hopes that I would find some inspiration for repurposing it. 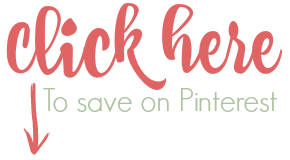 When the countdown to Christmas theme came up for the 12 Days Of Christmas blog hop I knew exactly what I'd do with it. With a little paint and craft supplies, many of which are from the dollar store, it was so fun and easy to make. 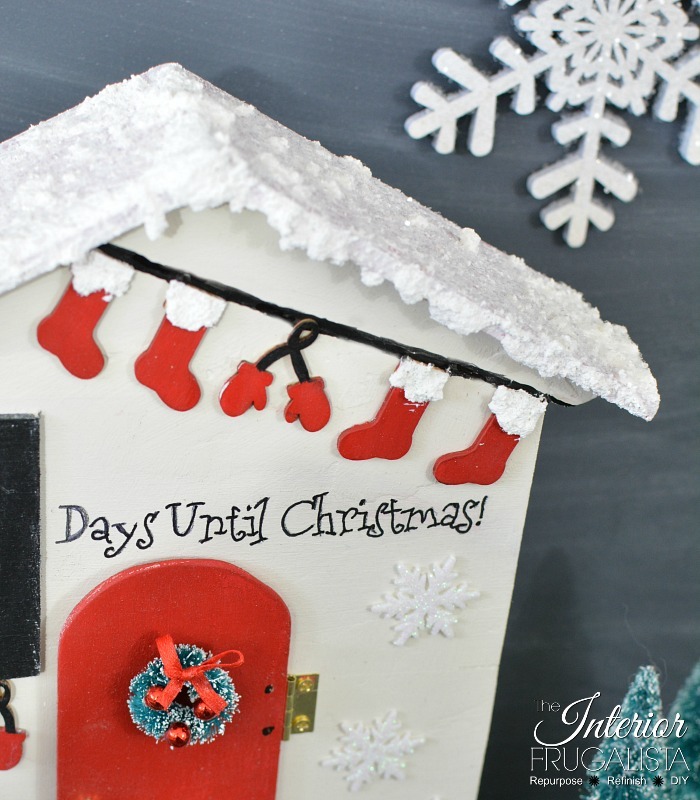 There looks to be a lot of steps to making the countdown Santa cottage but they are quick and easy steps, I promise! 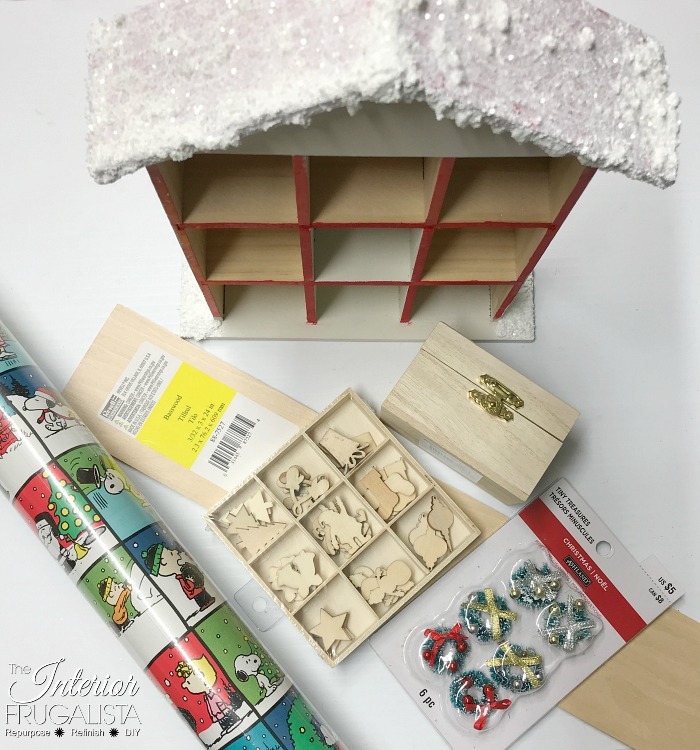 I've included affiliate links in this post for your convenience so you can see what products I used or recommend to make the Christmas Countdown Santa Cottage. 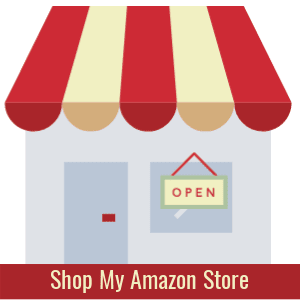 See my disclosure policy. 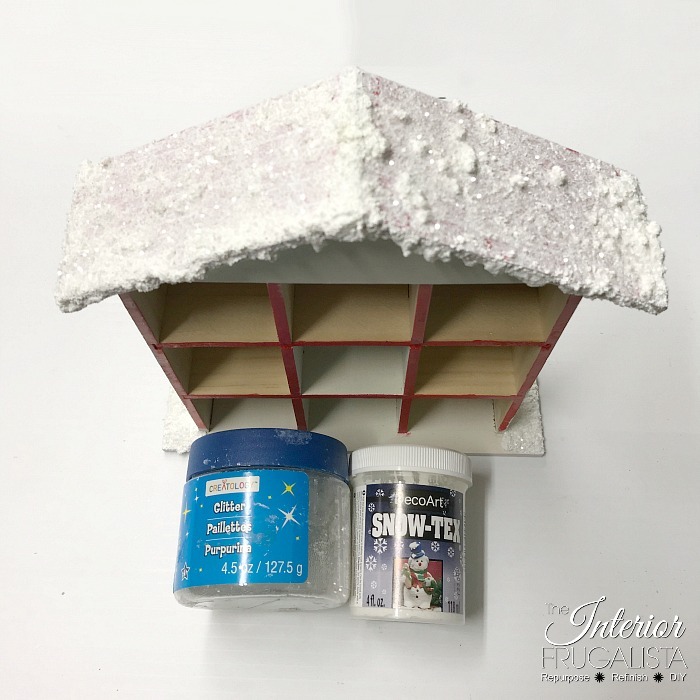 With a small art brush, I dabbed snow-tex onto the roof, thicker at the peak where real snow would accumulate and letting it droop over the edge. Before it dried I sprinkled white glitter over the snow so it would glisten. I placed a cardboard soda flat underneath to catch the extra glitter to reuse. Paint the exterior of the house with 2-3 coats of warm white craft paint. Paint the two bottom middle cubbies with 2-3 coats of holiday red craft paint to make the inside pop when the door is opened. Before adding a basswood wall on the front of the house we have to remove some of the scalloped snow on the front gable. Carefully notch out the inner scallops with a sharp craft knife as pictured below. Next, we're going to use thin basswood to create the front wall. 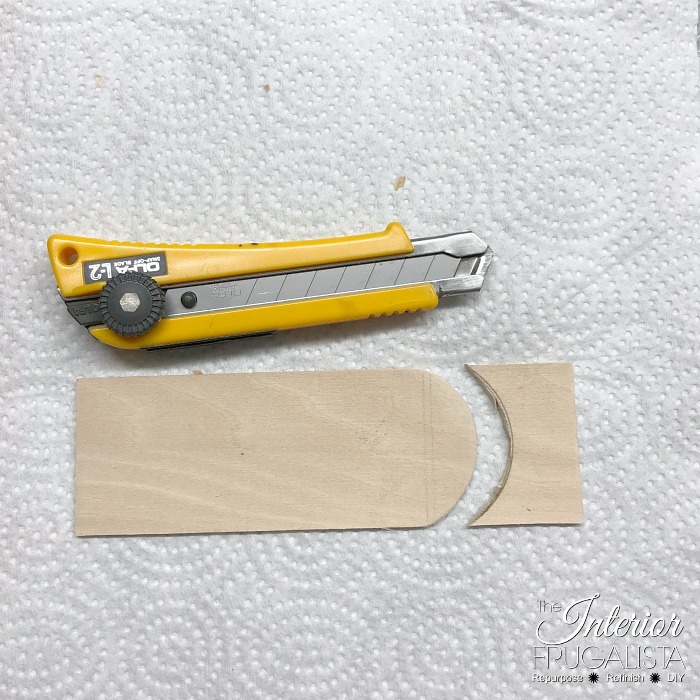 With a straight edge and craft knife, carefully cut the basswood to fit horizontally across the front of the house. You'll need three pieces to cover it. Remember to leave an opening for the door on the two bottom middle cubbies. 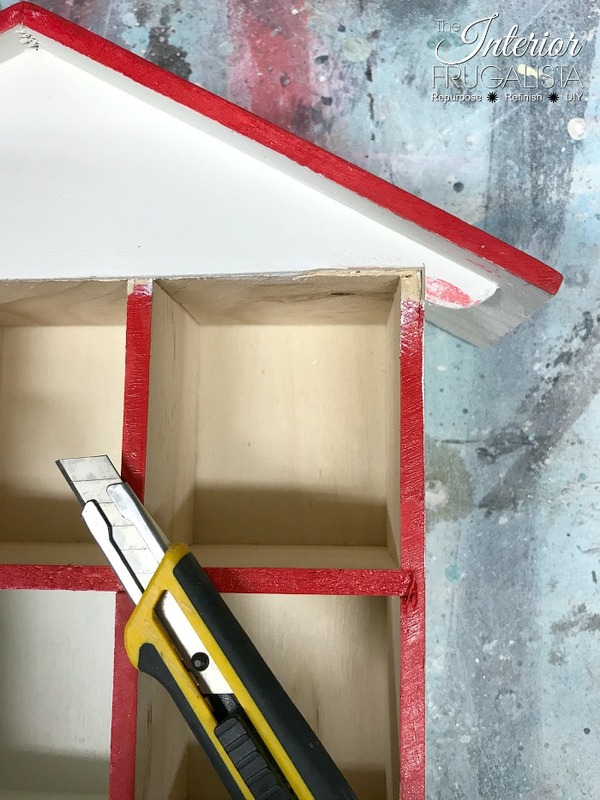 Note: Cut the basswood to fit over the divider slats on both sides, top, and bottom of the door opening so you have something to glue the basswond onto. With the same white craft paint, paint 2-3 coats on the new wall. With the leftover basswood, cut a front door to fit the opening. I made an arched door using a round container to trace the shape. Make adjustments as needed with your knife until it fits. 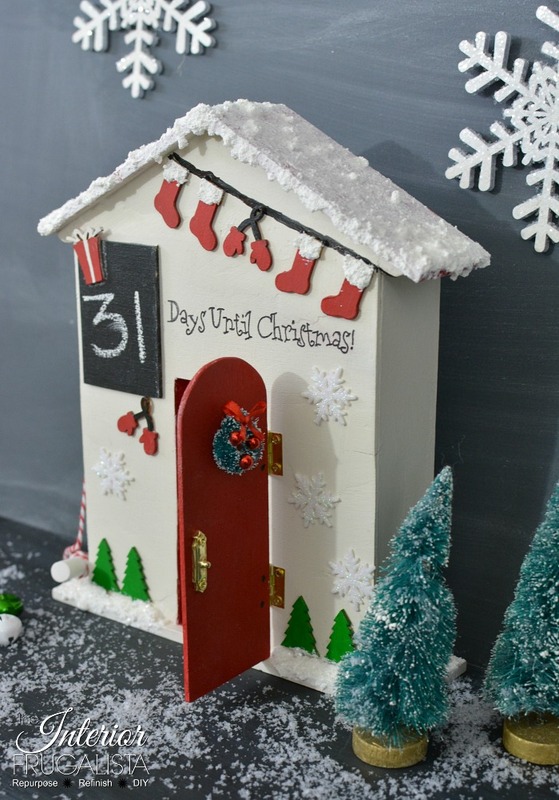 Once you have a good fit, paint the door with holiday red craft paint. This next step is optional. I used Peanuts comic strip wrapping paper but any paper with a small image that looks like inside the room of a house would work. Cut to size and decoupaged with a little Mod Podge. 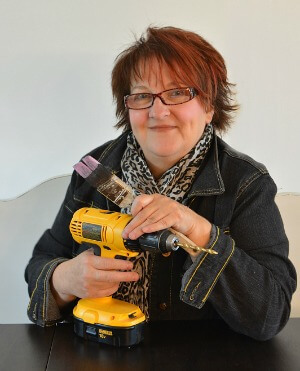 Remove the small hinges and latch from a small wooden box (purchased at the dollar store). Attach the hinges onto the inside of your door and the outside of the house with the tiny little screws that came with it. Separate the latch on the small box and glue just one half onto the front of the door with E6000 glue. Doesn't it look just like a miniature door handle? 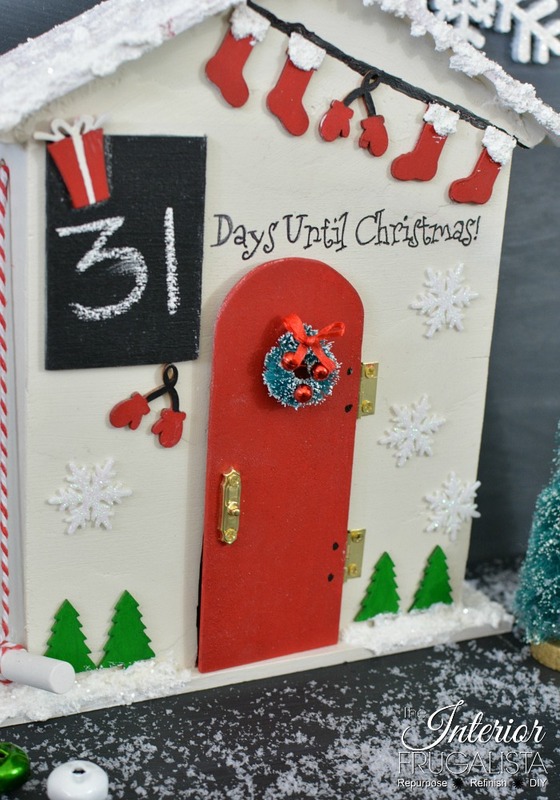 Glue a small miniature wreath on the front and how cute is this red door! With a leftover piece of basswood cut out a window. Paint it with chalkboard craft paint and once dry, glue the window on with E6000 glue. Before using the door it must be seasoned by rubbing the side of a stick of chalk in all directions and rubbing it in with a paper towel. 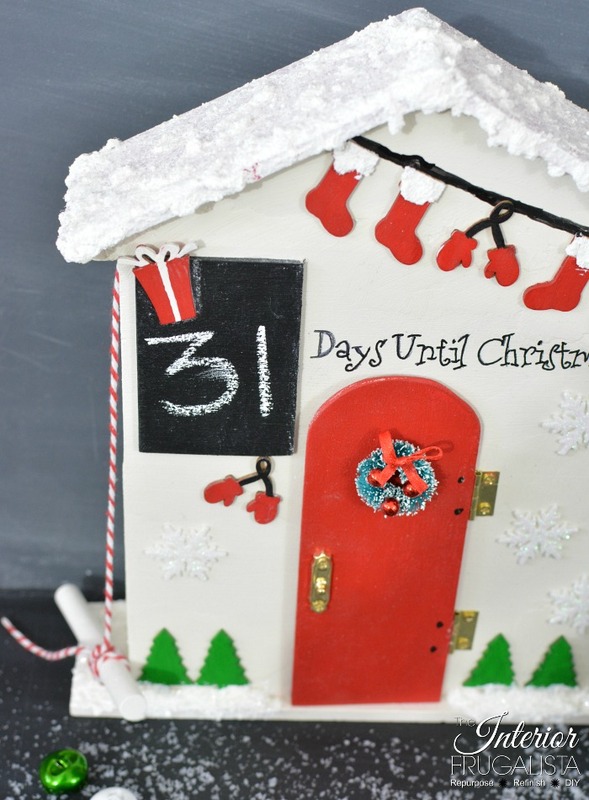 Wipe the chalk with a damp cloth and you're ready to start counting down the days to Christmas. Wrap red & white bakers twine around the stem of a gold thumbtack and attach it to the same side of the house as the chalkboard window towards the top. Wrap the other end several times around a stick of chalk (pictured above). Now the fun part, decorating the front of the cottage. With the miniature wood stockings and mittens on a string, I made a cute banner for the front of the cottage. I added a little snow-tex and glitter around the stocking cuffs for fun. 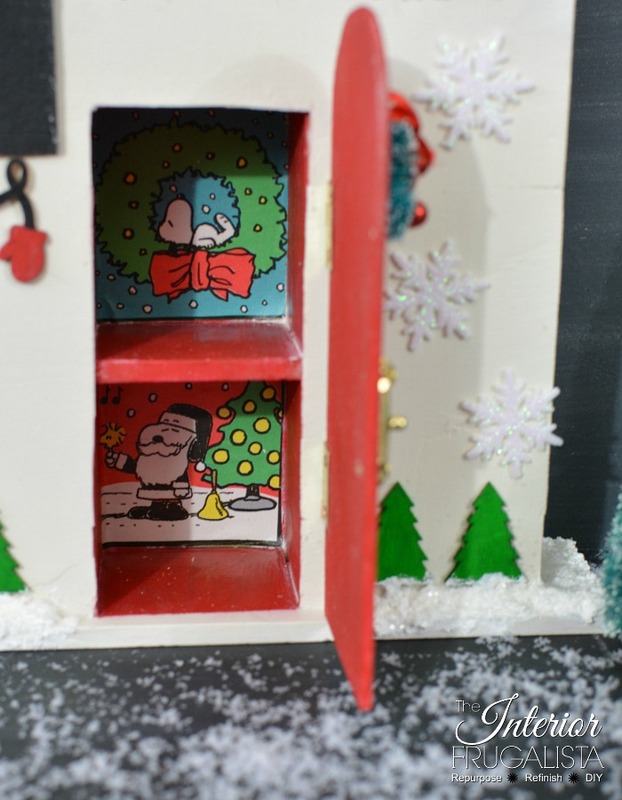 They were painted with the same holiday red and chalkboard craft paint and glued on with E6000 glue. I created the words in PicMonkey and printed them to fit the front of the cottage using this image transfer technique. 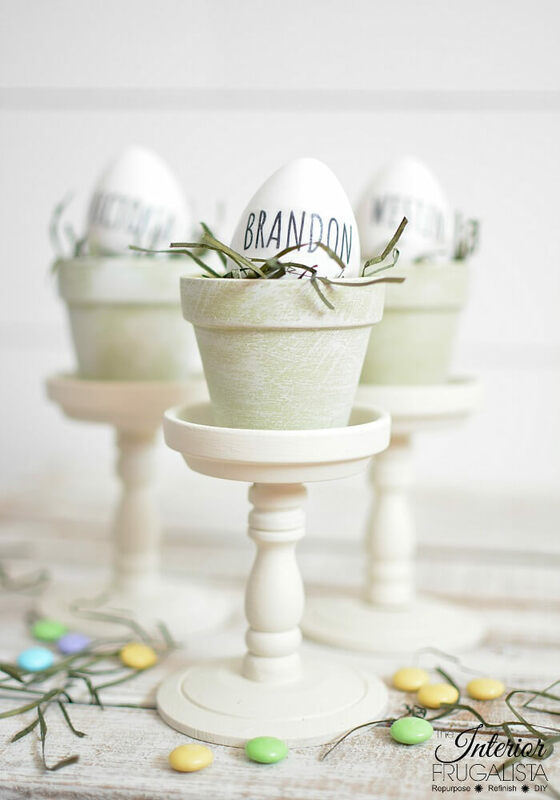 The miniature wooden trees were painted with holiday green craft paint. The plastic miniature snowflakes were found at the dollar store. Everything was glued on with E6000 glue. I also attached a sawtooth picture hanger on the back of the cottage so the countdown calendar could either be hung on the wall or placed on a table top. And there you have it, an adorable Santa cottage ready to countdown Christmas and delight children young and old. 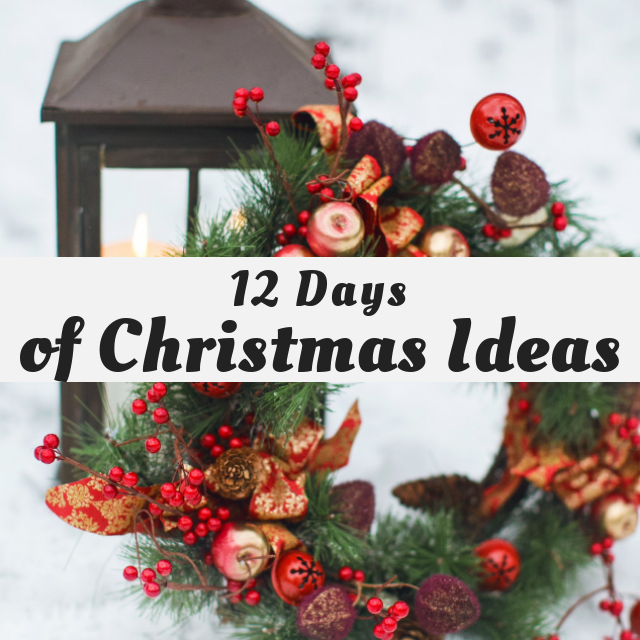 In case you missed Day 2 of the blog hop where we shared oodles of DIY Gift Ideas, you can catch it here in my DIY Christmas Hostess Gift Basket post. 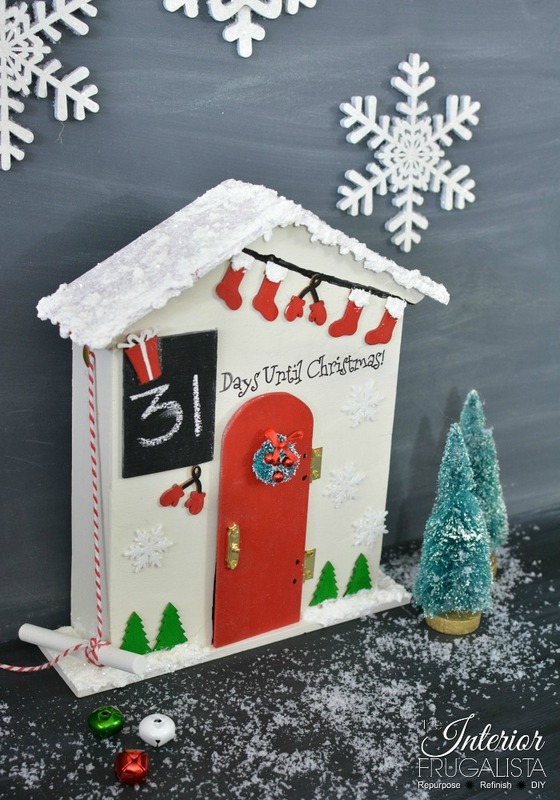 Now I invite you to scroll down to see many more DIY Christmas Countdown Calendar Ideas!